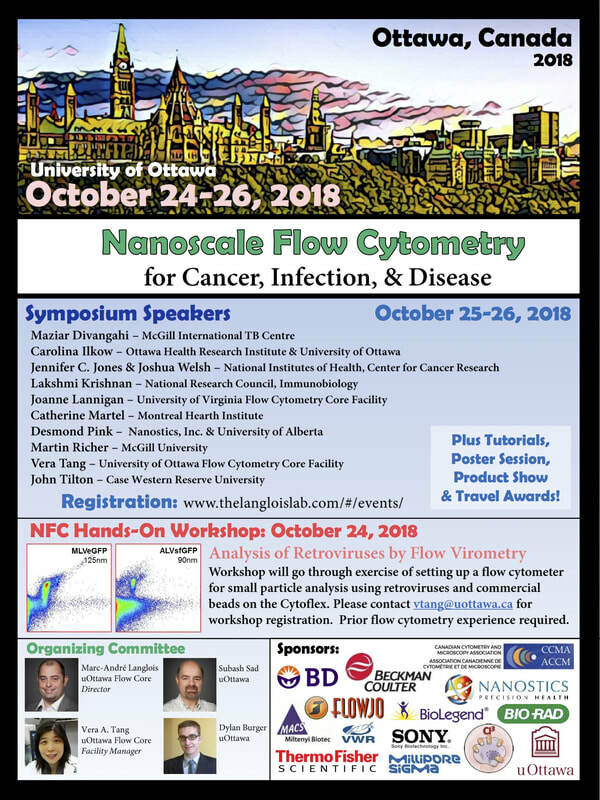 The International Society for Advancement of Cytometry (ISAC) is having it’s annual conference in Vancouver this year! The event will take place between June 22nd to 26th, 2019. CYTO 2019 will be attended by scientists at various stages of their careers that are working on all areas of cytometry. Leaders in the field will be present to give cutting edge lectures, workshops, scientific tutorials and plenty of other talks for the benefit of your scientific development. The deadline for student travel awards and submission of oral abstracts is on FEBRUARY 4th, 2019. The deadline of poster abstracts is on MARCH 5th, 2019. 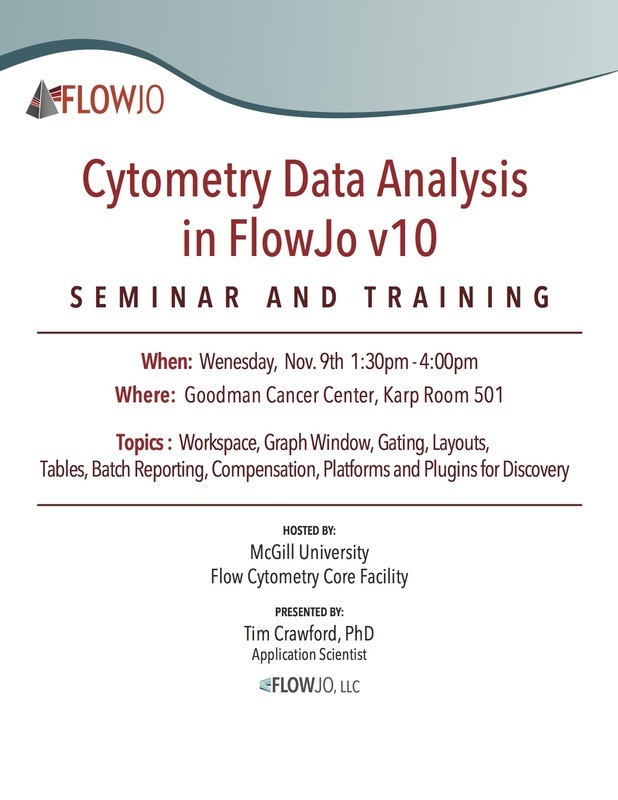 We have attended this conference in the past and we strongly suggest it to anyone keen on learning about the new discoveries in the field as well as deepening their knowledge on the topic. The meeting is attended by very curious and enthusiastic people and there’s really no subject that is deemed uninteresting or not flow-related enough so don’t hesitate to propose an abstract whether it’s about a cool new enumeration technique, an in-house software or an assay you’ve developed, the organizer will be happy to hear from you! Our instruments are now up and running at the Life Science Complex! Note that the FACSCalibur remains in the Duff building but has been relocated to room 613 for the time being. To book the Calibur, click here. To book the Fortessa or the Canto, use this calendar instead (this calendar is also available through the "book" button). ​We'd like to thank everyone at the LSC for hosting us! Please note that there will be an electrical shutdown of the Duff Bldg on May 13 from 6am to 2pm. During this time, the facility won't be accessible (nor will the bldg). Another shutdown is planned on May 14 from 6am to 10:30. In order to ensure that our instruments aren't affected buy the shutdown, if you are planning to use the analyzers on the evening of May 12 or May 13, please make sure that you turn the instrument and the computer off before leaving the facility. Please note that I'll be leaving for vacations this weekend and will be coming back to the facility on April 13. During that period, there will be no cell sorting available nor will I be able to schedule appointments. The analyzers remain available to all the facility's users. 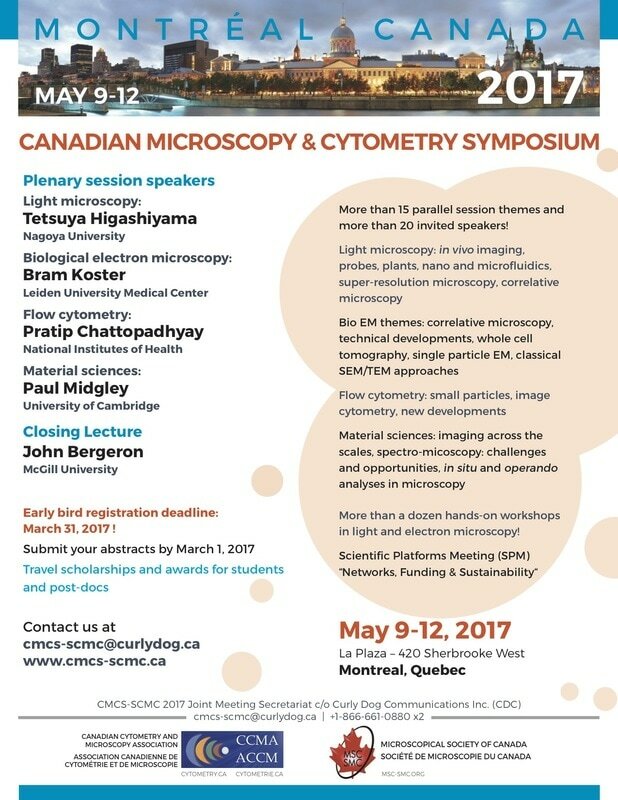 Canadian Microscopy and Cytometry Symposium in Montreal! The Facility will be closed from Dec 23 to Jan 2 inclusively. During this period, only users with card access to the Duff Bldg and the Facility will be able to use the analyzers. We also ask users to shut down the cytomer and the computer at the end of each of their acquisition (Christmas power outages have happened in the past...). Enjoy your time off and see you in 2017!!! ﻿The red laser is in!!! We finally received, installed and aligned the Fortessa's new red laser. The analyzer is now back to its usual 18 colours configuration. Thanks everyone for your patience. Please note that the new red laser for the Fortessa has been ordered. Its estimated shipping date is November 18. In the meantime, you can still use the Fortessa as a 15 colors analyzer (don't use fluorochromes excited by the red laser! ).